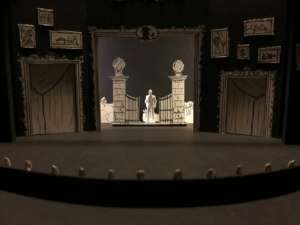 Who better to design the set for Park Square Theatre’s production of Ken Ludwig’s Baskerville: A Sherlock Holmes Mystery than Sherlock himself–that is, Scenic Designer Eli Sherlock (née Schlatter)? Using his impressive powers of deduction, Eli had to solve the tricky puzzle of how to set the stage to accommodate 31 scenes covering 18 locations. But anyone who’d caught a glimpse of Eli’s clever, wholly two-dimensional set design for last season’s comedy, The Liar, at Park Square knows that, without a doubt, Eli was definitely up to the challenge. However, his task wasn’t for the faint of heart, requiring a relentlessly methodical approach. Eli combed the script for details: What’s the time period? What are all the scenic locations? How are they utilized? He did exhaustive research: What does the Manor of Manaton (a.k.a. Baskerville Manor) and its surrounding moors, thought to have inspired Sir Arthur Conan Doyle to write The Hound of the Baskervilles, look like? What are the dimensions of the Proscenium stage to ensure that his design would fit and function well? Basically, as Director Theo Langason cracked open the script, Eli read it and began to determine so many of the choices that had to be made. But one of the closest relationships for a set designer is with the director, who carries the vision for the play. 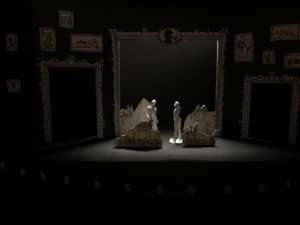 Theo added his influence on Eli’s design via input on such matters as how to possibly incorporate puppetry into a key scene, whether the run crew who moves the set pieces should be visible or not, how the set design could contribute to the play’s comedic elements yet also make it feel spooky and scary and much more. 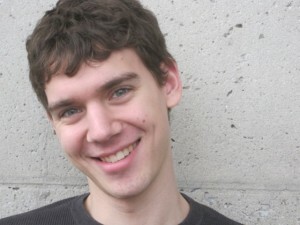 Eli’s training has, in fact, taught him how to manipulate how the audience feels. For instance, Holmes’ area tends to be on stage right for a good reason. Everything on the set–whether wallpaper pattern or color scheme–subliminally tells the story. This heady combination of collaboration and creativity is what excites Eli about his chosen profession. His greatest thrill is to have created something that an audience hasn’t seen before and cause an unexpected reaction to a space. 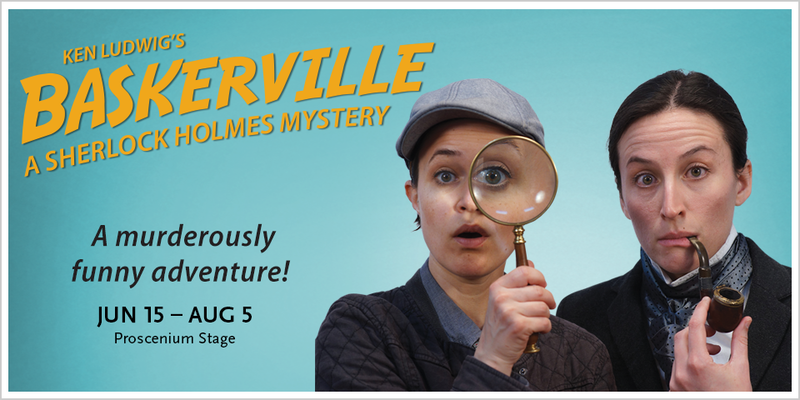 Baskerville is on stage now through August 5! Tickets and information here.